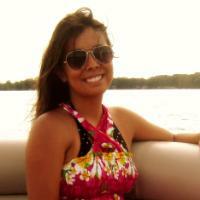 Here’s a look back at my training runs for my second half marathon. I did a great job vastly improving my pace while training for my first half marathon, so I figured that if I continued with the same effort training for my second half that I’d probably beat some land speed records. Just kidding, I know statistics- it was highly unlikely. I was hoping though to continue to improve my pace, but I wasn’t really able to. I pretty much plateaued/slowed. I think there were two main reasons for this. I had three weeks of crap mileage. I was trying to follow the same Beginner level Nike+ Running coach 12-week training plan as I did the first time, but a week long work trip to Europe plus getting sick immediately after returning meant I skipped two long runs entirely and fell short by 20/22/11 miles in weeks 6/7/8 of training. The heat/humidity of the summer is killing me. So much easier to run in the cool spring. At some point later I want to look at some plots of my running pace and temperature. 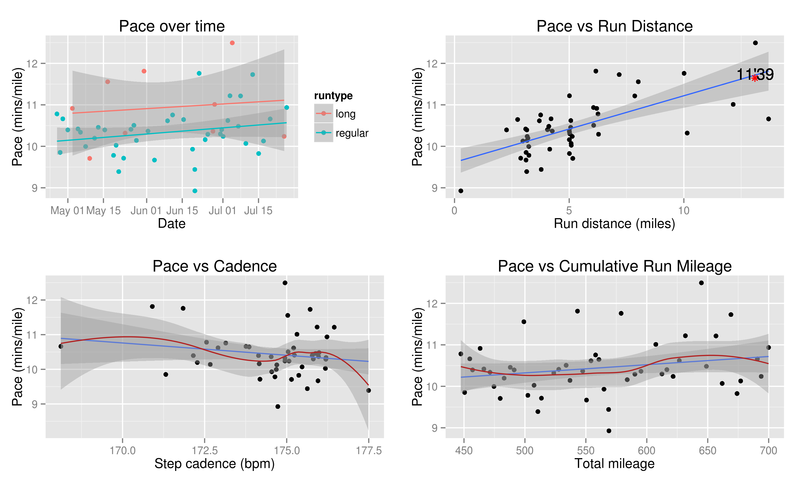 Below I plot my running pace over the 12 weeks of training against a few different variables. Long runs are my Saturday “easy runs” where I don’t care about my pace. I don’t do any real speed training yet so the rest are just “regular” runs. In the top right I added to the plot an estimate of a comfortable/safe target pace for my half marathon race based on my training history. 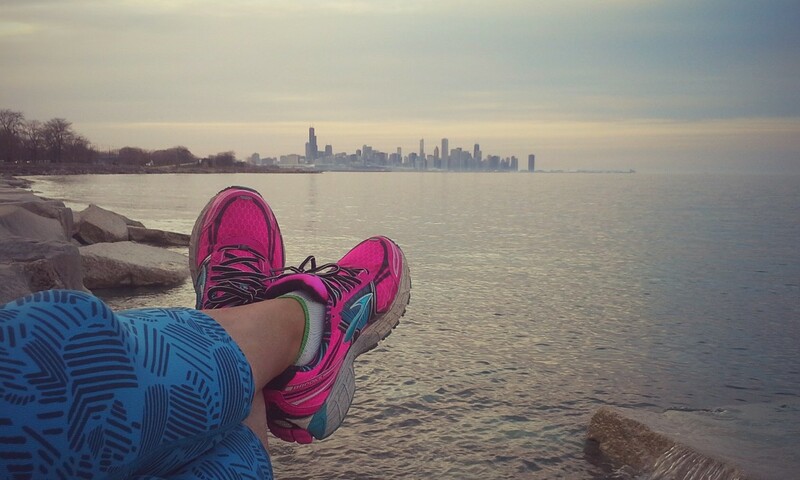 A look back at my 12 weeks of training for the Rock 'n Roll Chicago Half Marathon. Let's just pretend the top left and bottom right plots aren't actually the same plot. If you’re a Nike+ user and want to make similar plots for yourself using the Nike+ api, find my R source code on my Github RunR repo. My actual half marathon race pace overall was 11:10’ for a finish time of 2:26:16. Slower than my first half marathon in April, where I finished at 2:19:26 (10:38’ pace). 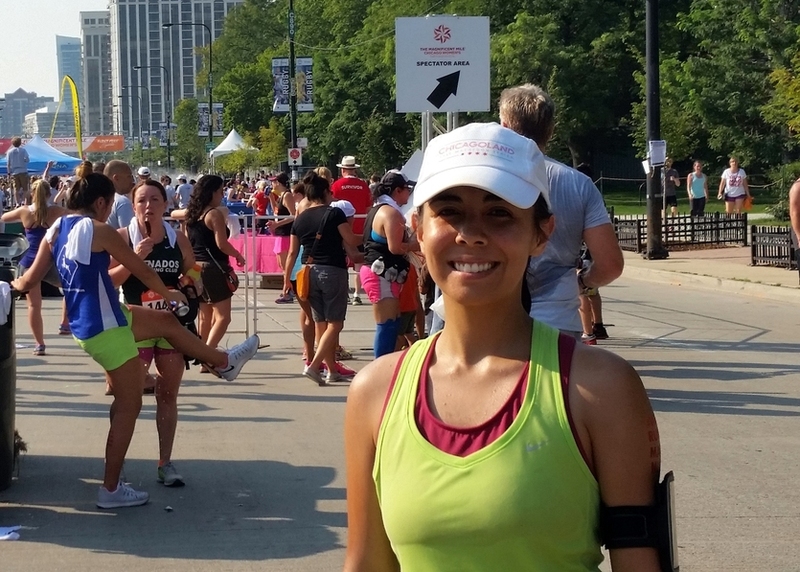 If you’re interested, here are recaps of those races, the July Rock ‘n Roll Chicago and the April Chi-town Half. Looking forward to some cooler weather for my next race in September.